Climate models are an important tool for scientists to understand the complexities of Earth’s climate. These computer simulations incorporate both theory and direct observations of the past and present in order to project climate into the future. Because of this synthesizing role, and because their output takes the recognizable shape of maps, these models lay an important foundation for political action on climate change. But what exactly are climate models? How do they work, and why are they important? Our planet’s climate is gigantic, both spatially and temporally: it covers the entire globe and spans generations. By definition, climate defies observation by any one individual. How then is anyone to understand the entire climate system, much less predict future changes? Through simulation, computerized climate models consolidate and formulize our understanding of the many natural systems that together comprise Earth’s climate. A model, in the traditional sense of the word, is a small-scale representation of a larger structure or system. By making a smaller working version of something otherwise unmanageable in size, we are able to understand it better– we can examine its parts, dissect its inner workings, see how it responds to change. One of the most important characteristics of models is that they generally trade detail for scope: in order to paint a smaller picture of something very large (a Boeing 757, for example), you must sacrifice a certain amount of detail. Unlike a model airplane, however, climate models aim not only to represent the climate accurately, but also to foresee its changes. In this sense, climate models serve two functions: simulation and prediction. In the context of climate change politics, model simulations are a persuasive tool to understand future climate and how man-made greenhouse gases might affect it. With Earth’s climate as their subject, these models have taken on an enormous challenge. 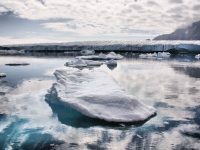 Although climate is often thought of as just an average temperature or is confused with the weather of a single season, climate is generally defined as the average state of weather over a period of years at a given location. This includes the mean values and ranges of variables such as wind, temperature, precipitation, humidity, cloudiness, pressure, visibility and air quality. These variables are strongly connected to the rest of the natural world, meaning that climate also involves other aspects of the atmosphere, oceans, land surface and ice (the cryosphere). Therefore, climate is not a single thing, but instead a sprawling system of many processes that interact with each other in complicated ways. This system is affected by external factors, like radiation from the sun, volcanic eruptions, and changes in Earth’s orbit. The climate system also influences, and is influenced by, other natural processes like evaporation and photosynthesis. Consequently, climate models grow increasingly complex as they more accurately reflect these intricacies. Sophisticated models, like Coupled General Circulation Models, combine many processes to portray the entire climate system. 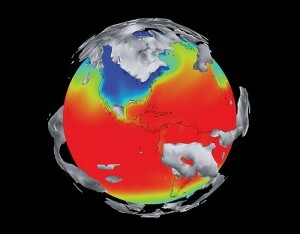 The most important components of these models are the atmosphere (including air temperature, moisture and precipitation levels, and storms); the oceans (measurements such as ocean temperature, salinity levels, and circulation patterns); terrestrial processes (including carbon absorption, forests, and storage of soil moisture); and the cryosphere (both sea ice and glaciers on land). A successful climate model must not only accurately represent all of these individual components, but also show how they interact with each other. Climate models are constructed with two types of essential building blocks: physical, chemical, and biological laws founded on theory (the laws of thermodynamics and Newton’s laws of motion, for example, are critical to understanding circulation) and data collected from observation. These data are the record of how the climate has actually behaved in the past: the temperature of the air and oceans, the expansion or contraction of sea ice, inches of precipitation, proportion of salinity in ocean water. Models are built with these data, and are held together by the glue of laws or observed relationships in the absence of a law. The resulting model exemplifies the theory of emergence, which holds that something complex can arise out of comparatively simple pieces. A climate model, therefore, is more than the sum of its parts: by combining information on many separate processes, the model begins to portray the complexity of the entire system. Unlike weather, which takes place in a matter of days, climate unfolds over decades; testing a climate model, therefore, is no simple task. Because it is impractical to wait thirty or fifty years to verify a model’s accuracy, models are usually tested by their ability to recreate past climates. Models that produce results similar to what actually happened are considered to be relatively trustworthy. A problem becomes evident when a model’s results differ from the past, beyond the range of natural variability. Because of a model’s complexity, however, it is not always simple to tell what went wrong. 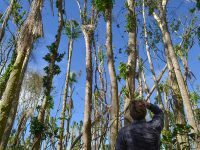 There are two different types of uncertainty inherent in climate models, and it is difficult to tell which kind may have caused any given error. Parametric uncertainty is doubt about the correct value of a specific variable, such as how much rain fell in a certain place in a given year. This type of uncertainty stems from a scarcity of data, which is especially pronounced for time periods before reliable modern measurements, and for regions in the southern hemisphere where there are fewer observational stations. Structural uncertainty is doubt about the relationship between two or more variables. The way that clouds influence and are influenced by temperature change, for example, is not yet completely understood. This lack of understanding about how multiple processes relate to each other can lead to inaccuracies in the model. Despite these persistent uncertainties, climate models have grown progressively more accurate as more data are collected and as understanding of processes grows. The most advanced climate models are currently able to give us a relatively rich, if incomplete, picture of how Earth’s climate will change as the result of human greenhouse gas emissions. The virtue of climate models is that they grant us the freedom of experimentation. Using a model, we become puppeteers, masters of a giant system that is, in truth, beyond human control and beyond a human time scale. We can cool or heat the planet at will, add salt or ice or rain or dust in any proportion we want. We can watch to see what happens, and then run the model again to evaluate a completely new scenario. In reality, however, we are already conducting a large-scale experiment on our climate by adding greenhouse gases and changing the characteristics of land cover. Unlike in computer models, of course, we have no control Earth waiting in the wings, ready to take over in case our experiment goes wrong. Precisely because we have no backup planet, climate models are critical both to understanding our only planet and to limiting the impacts of human activity upon it. A nice primer on climate science and the importance of computer modeling in evaluating both the present and future of complex Earth systems. Thanks! These models are still expensive and requires powerful computers to run. If only more efficient models with a lower cost can be created, only then a significant improvement can be seen in this field worldwide. Climate data collections in Nigeria generally is poor with characteristics of missing and inconsistent records. However, I am eager to understand the weather/climate characteristics of Yola area, which from cursory observations over the few years, has proved to be generally warmer than its surrounding environs. Is it possible to achieve this? What do I need to do?